Snapshot: Fiat India has given the Grande Punto hatchback the crossover treatment and the result is the Avventura compact crossover. The Avventura has just been unveiled at the 2014 Indian Auto Expo and the car will be launched here in the second half of the year. Sharing its underpinnings with the Grande Punto, the Avventura is likely to get the 1.3 liter Multijet turbo diesel engine in the 90 Bhp-209 Nm state of tune. The gearbox is a 5 speed item driving the front wheels of the car. 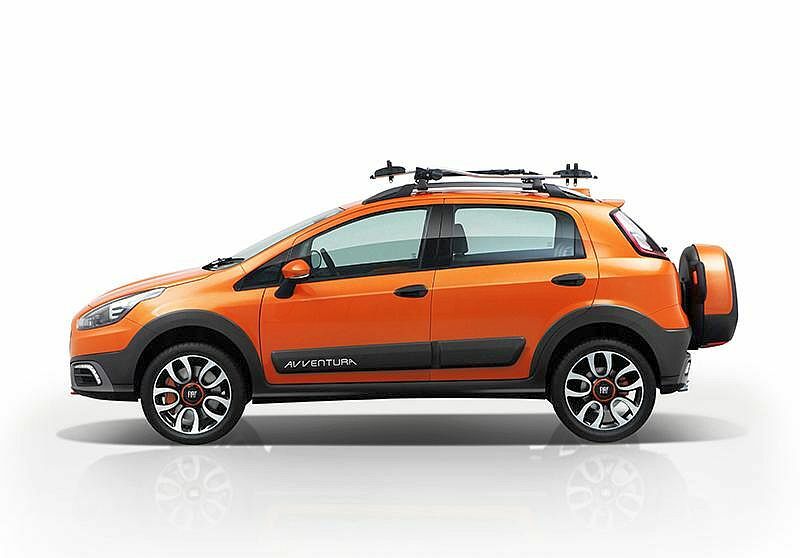 Compared with the Fiat Grande Punto hatchback, the Avventura gets new headlamps, a new front bumper, a revised front grille, bumper inserts, skid plates, cladding on its flanks and its rear, roof rails, a new rear bumper and a tail gate mounted spare wheel whole hinges are side-mounted. Armed with a hefty ground clearance of 200 mm, the Fiat Avventura is one monocoque crossover that looks the part and walks the talk too. On the inside, the Fiat Avventura gets a slightly tweaked dashboard design. Twin airbags and ABS+EBD are likely to be standard safety features on the top-end version of the Avventura. 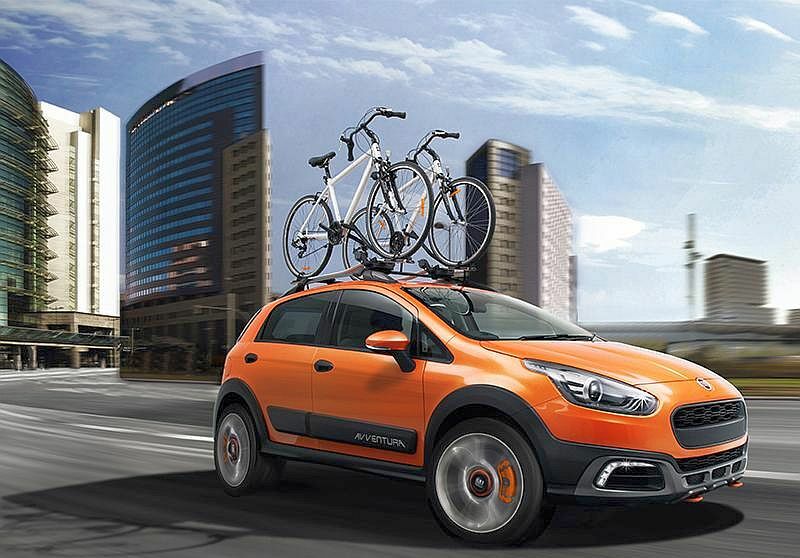 As the Avventura will be positioned above the Punto 90 HP Sport, expect the car to feature a price that’s slightly higher than the Punto Sport model. Prices will be announced at the actual launch of the car. In India, the Punto Avventura will take on the Volkswagen Polo Cross and the Toyota Etios Cross models. It remains to be seen whether the Avventura is a India-specific car model or whether the hatchback based crossover will be sold in markets across the globe. To sum it up, the Avventura is a refreshing change from the body kit jobs that cars like the Polo Cross and Etios Cross bandy around.